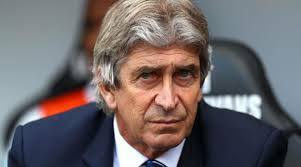 English Premier League side, West Ham United, have appointed former Real Madrid and Malaga boss Manuel Pellegrini as their new manager on a three-year deal. The Former Manchester city boss will replace David Moyes, who guided the club to a 13th-placed finish in the league this past season. “I am delighted to welcome Manuel Pellegrini to West Ham United. “He is one of the world’s most respected football coaches and we look forward to working with him,” West Ham joint-chairman David Sullivan said on Tuesday. “It was important that we appointed someone with knowledge and experience of the Premier League. “Someone who already has an understanding not only of the teams and players we face but of West Ham United and our ambitions,” Sullivan explained.